Can I Enter Canada with a DWI Texas? Anyone that has been arrested or convicted of drunk driving in Texas may be denied entry to Canada due to criminal inadmissibility unless they retrieve special entrance permission. An official endorsement to travel to Canada with a DWI or DUI from Texas can be obtained via a Temporary Resident Permit or Criminal Rehabilitation. 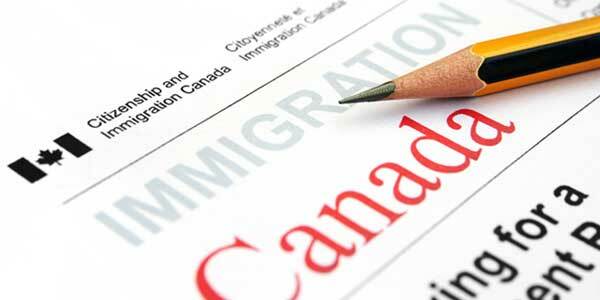 Temporary Resident Permits can be secured quickly but require a valid reason for traveling north of the border and are only issued for a fixed amount of time with a maximum possible duration of three years. Criminal Rehabilitation is a final solution that overcomes a Texas DWI/DUI forever, but takes almost a year to get and is only accessible to individuals who concluded their probation more than five years prior. Texas DWI and coming to Canada? Contact our Immigration Attorney now for a free assessment. Texas has very strict laws when it comes to driving under the influence of alcohol or drugs or driving while intoxicated. A first offense DWI can result in a $2000 fine, 3 to 180 days of jail time, a license suspension for up to two years, an ignition interlock device (IID), and a DWI intervention education program. A second offense DWI can result in penalties including a $4000 fine, two year license suspension, and more than a month imprisonment. A third offense DUI can lead to a $10,000 fine and more than two years in a state prison. There are additional penalties for anyone drinking and driving with a child passenger. The Texas Driving While Intoxicated Statute can be found in the state's penal code, title 10, chapter 49, section 49.04. The required blood alcohol content (BAC) to trigger a DUI in Texas is 0.08, but only 0.04% for commercial or truck drivers. Texas also has more extreme DWI laws for when serious bodily injury is caused by drunk driving (intoxication assault) as well as death (intoxication manslaughter). All drivers in Texas are also subject to implied consent, meaning that refusal of a chemical test can trigger driving while intoxicated laws as well as an Administrative License Revocation (ALR). Texas also has zero tolerance DUI laws for drivers who are under 21, meaning that a BAC as low as 0.02% can result in an underage drunk driving charge which can still render a person criminally inadmissible to Canada. The Canadian equivalent to all Texas DUIs and DWIs is a hybrid offense which can be an indictable offense, meaning that an offender may not cross the border without a Temporary Resident Permit or Criminal Rehabilitation or they could risk being refused entry to Canada. This means that if you have a DWI from Houston, San Antonio, Dallas, Austin, Fort Worth, El Paso, Arlington, Corpus Christi, Plano, Laredo, Lubbock, Garland, Irving, Amarillo, Grand Prairie, Brownsville, or any other city or town in Texas in the past ten years travel to Canada can pose a major problem. Our Canada immigration attorney can help people with a DUI Texas travel to the country without a denial of entry at the border.